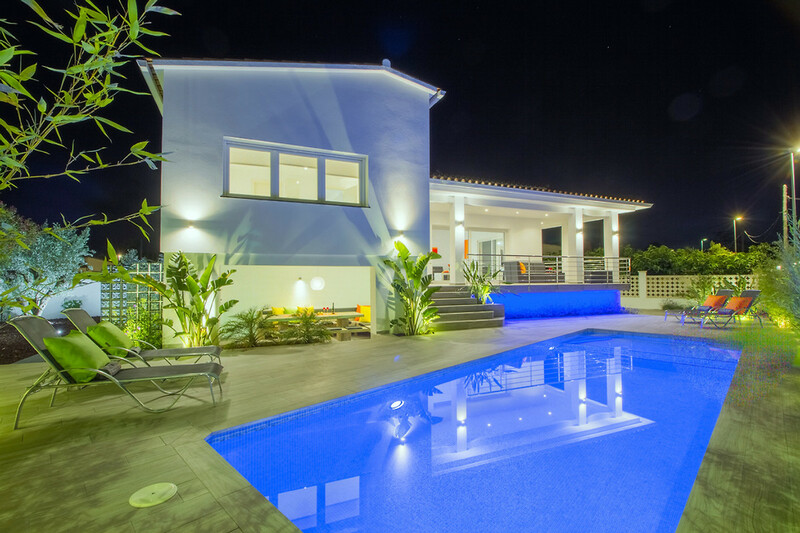 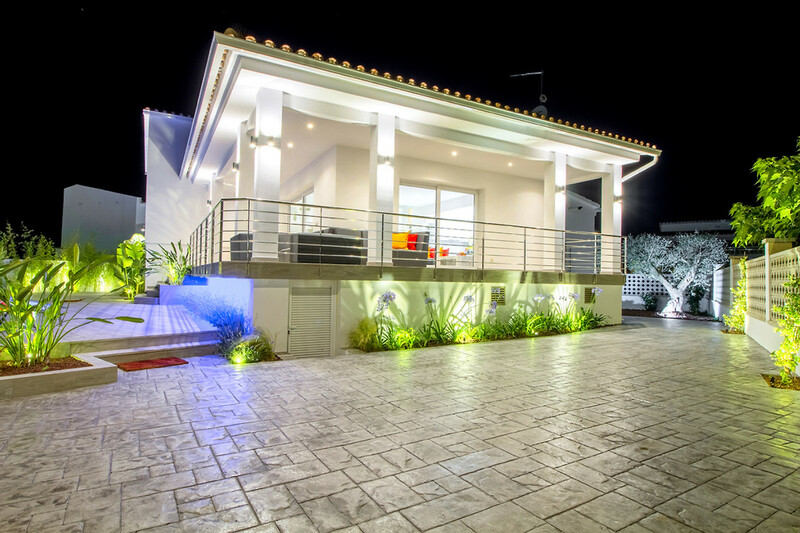 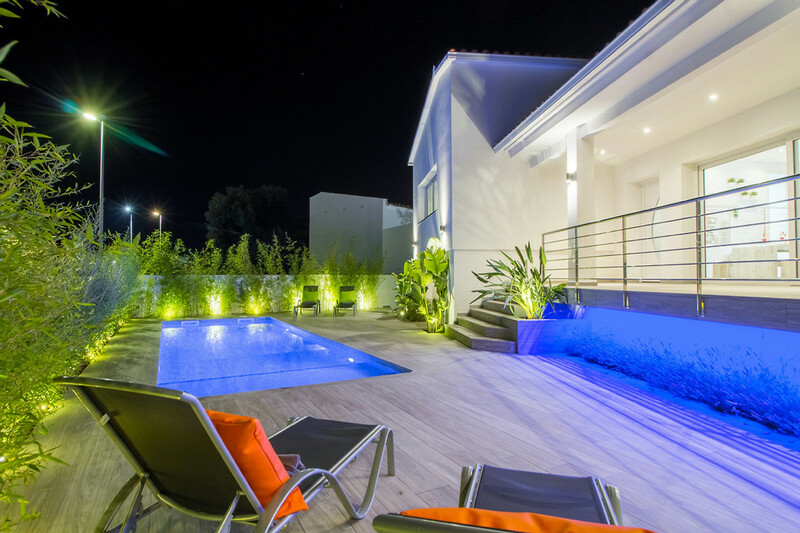 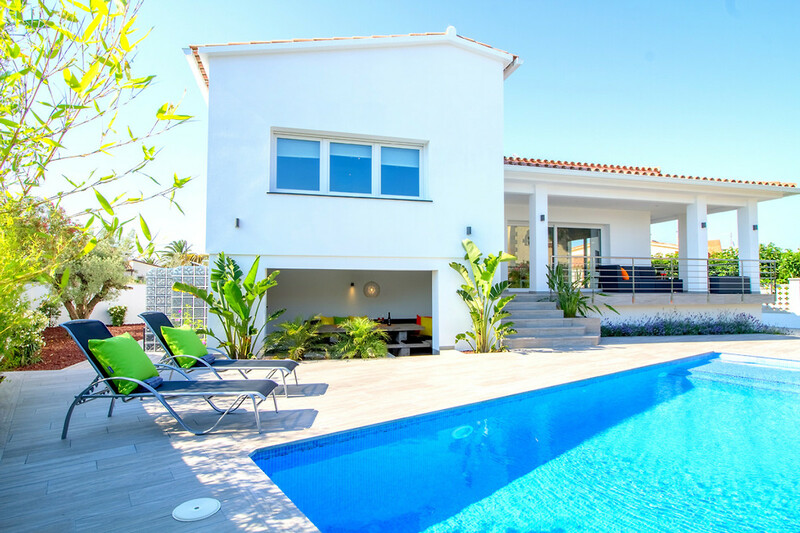 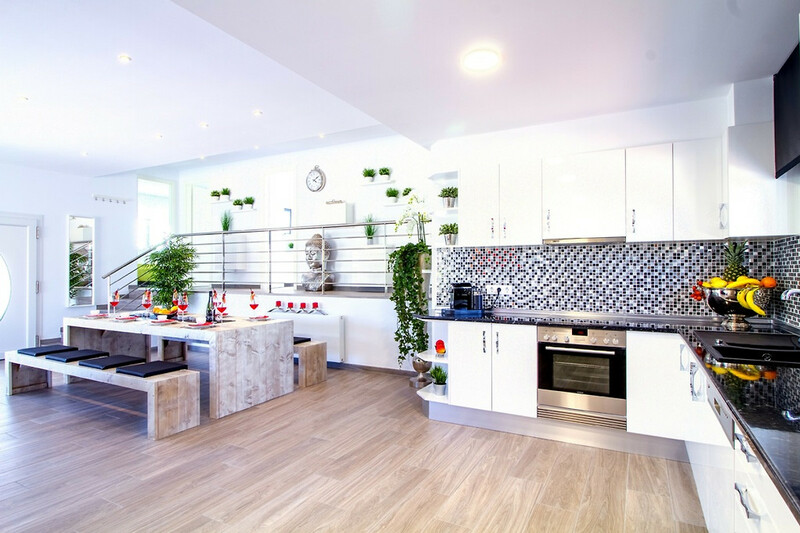 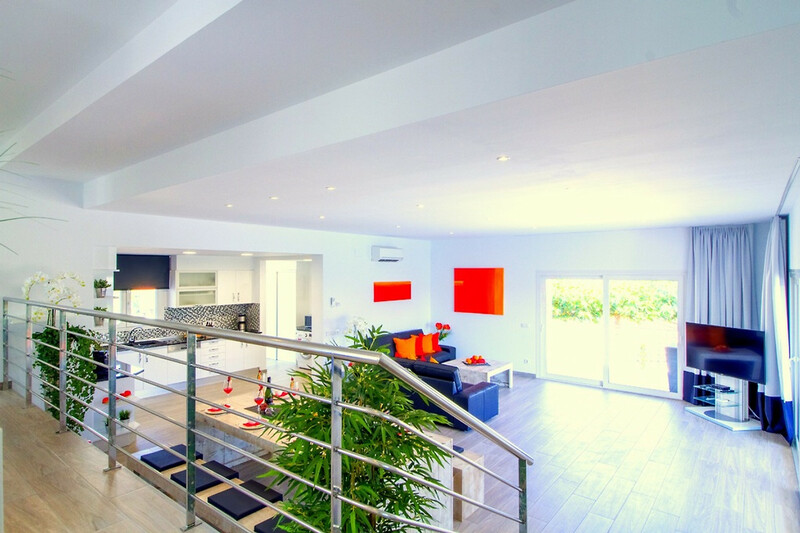 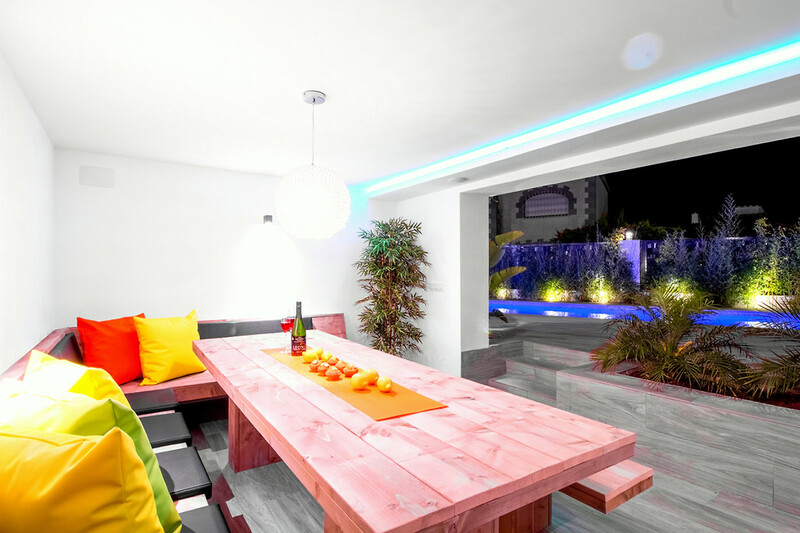 This contemporary dream villa is located in a quiet residential area near the town center on a plot of 607 m² and a luxurious living space of 180 m². 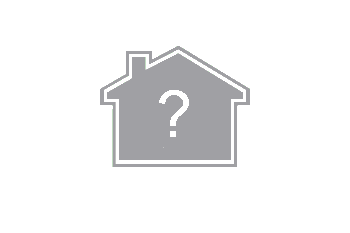 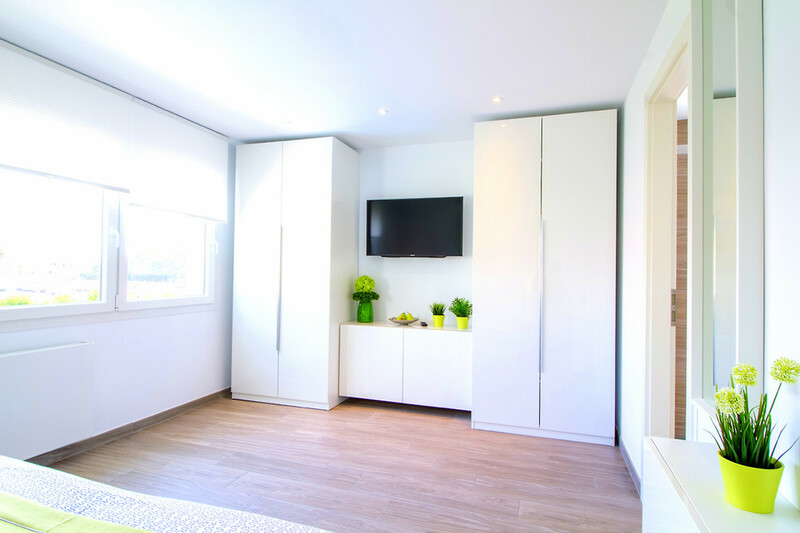 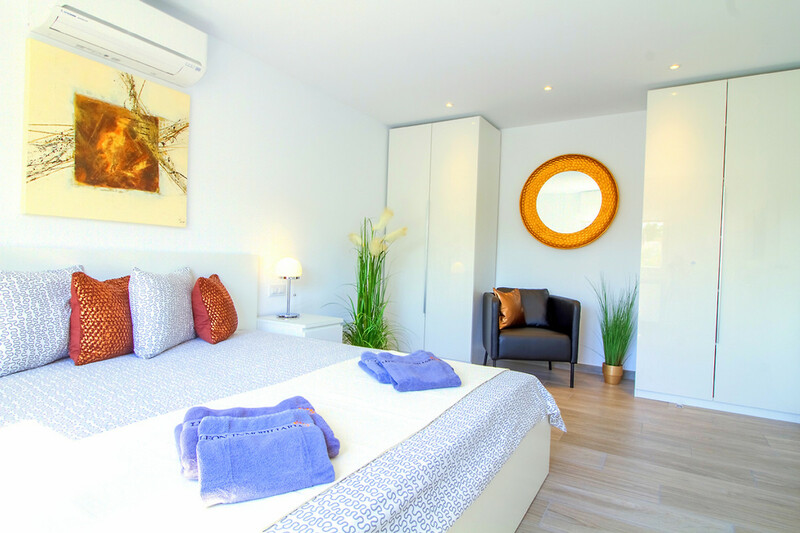 On the ground floor is a modern and cozy apartment with a splendid living / dining room and an open kitchen, 1 bedroom and a bathroom. The comfortable villa has 3 bedrooms and 2 bathrooms, in the main living area a bright and spacious living - dining room with an open fully equipped kitchen and access to the wonderful terrace to enjoy the beautiful evenings, also the large terrace next to the pool, ideal in all amenity at suns. 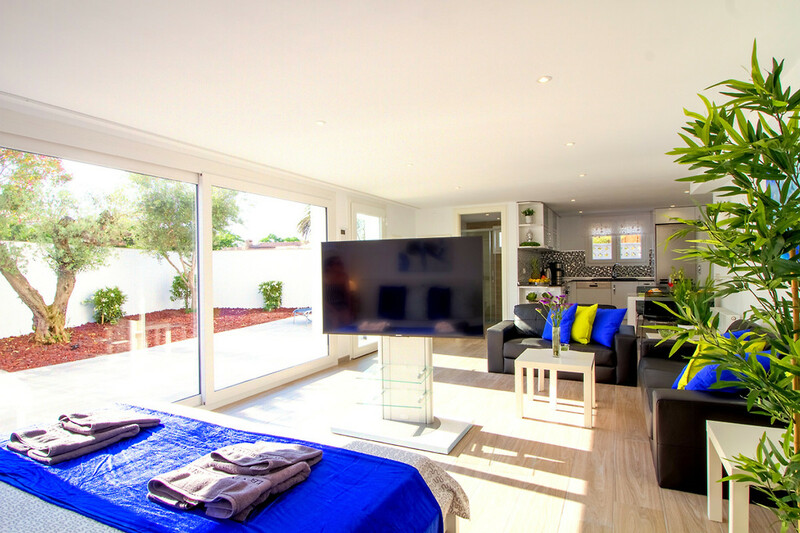 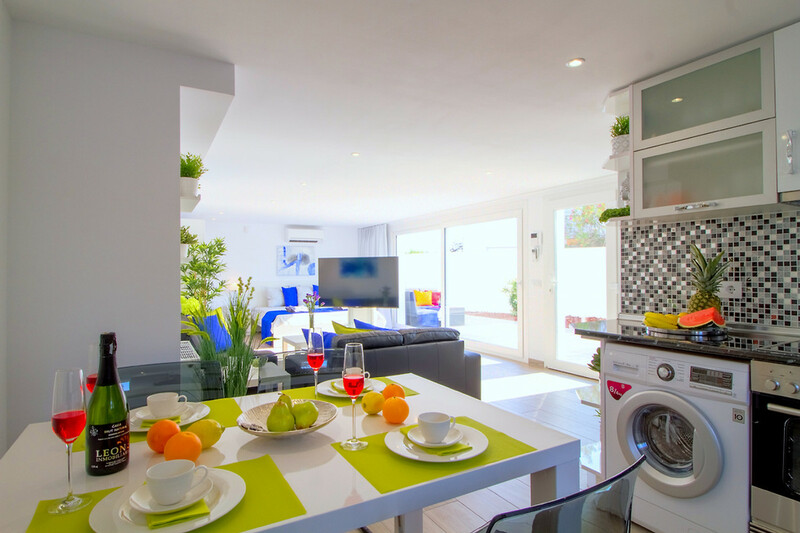 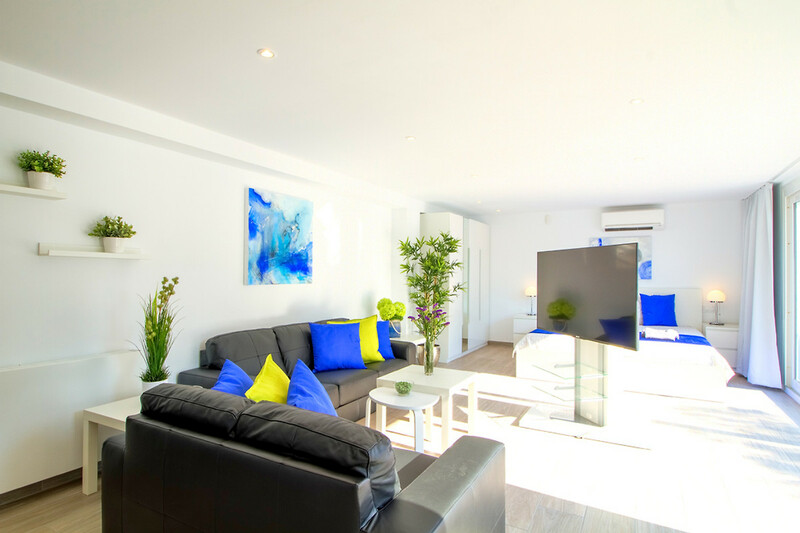 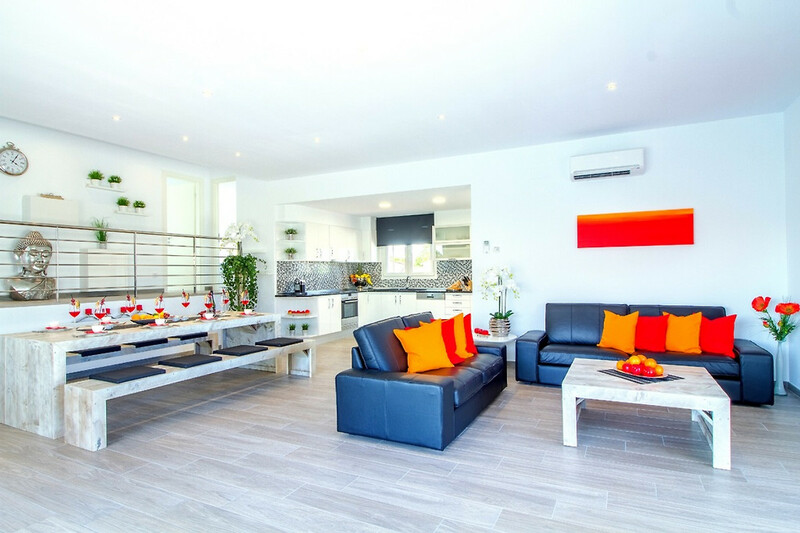 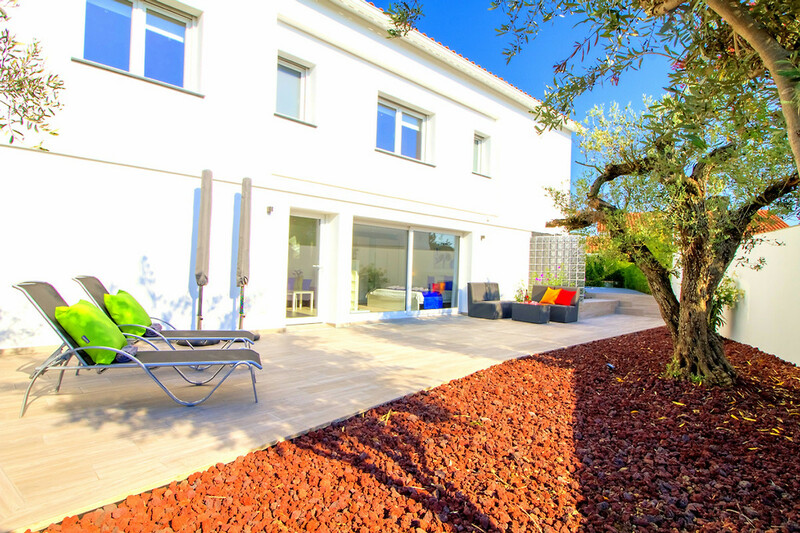 A real holiday dream with all the amenities like; Air conditioning, washing machine, dishwasher, microwave, satellite TV (UK / DE / FR / ES), internet access, central heating (gas), electric shutters, alarm system, automatic plot door, automatic irrigation system, garden lights and parking. 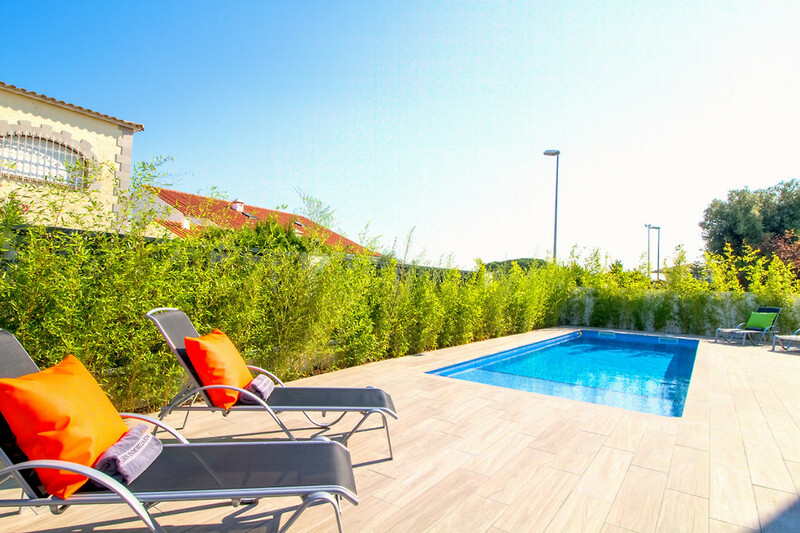 A real, relaxing and unforgettable holiday awaits you! 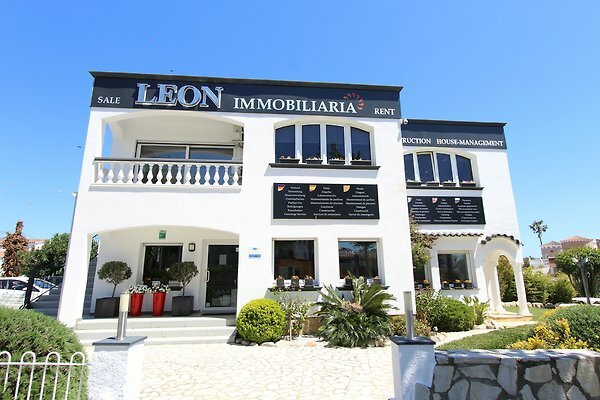 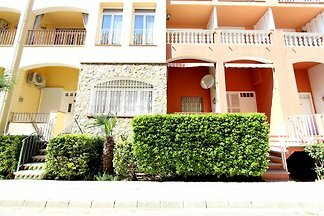 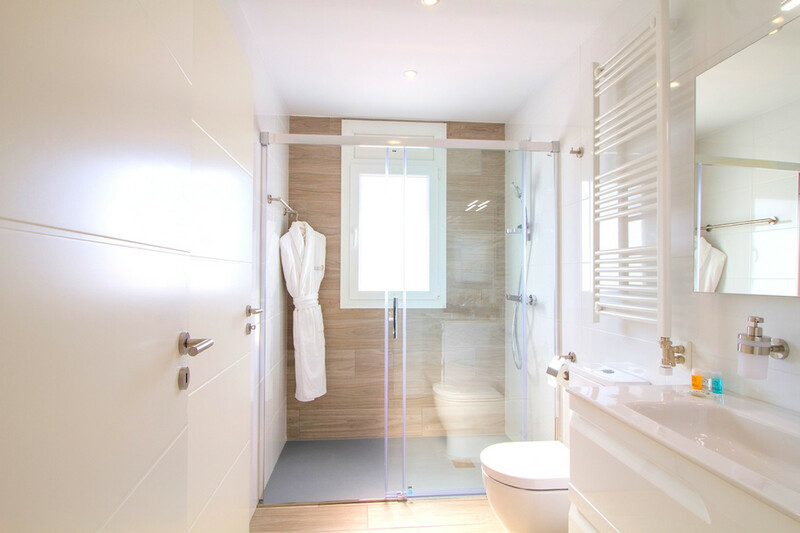 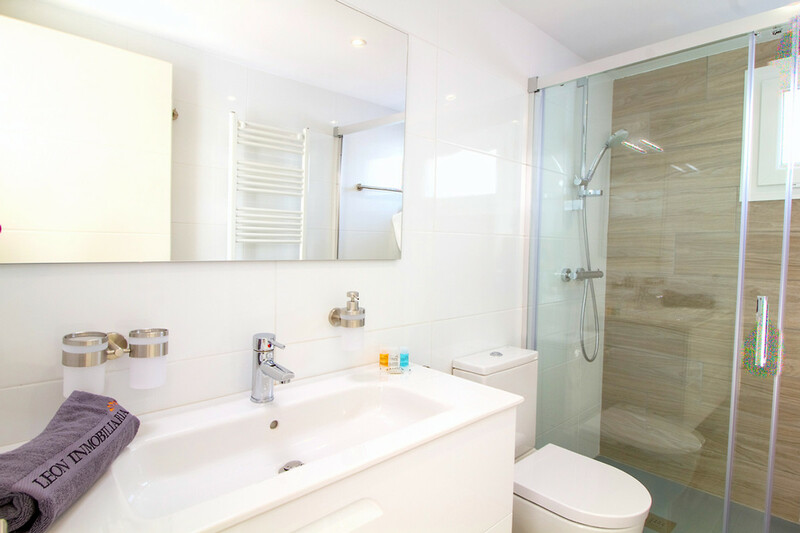 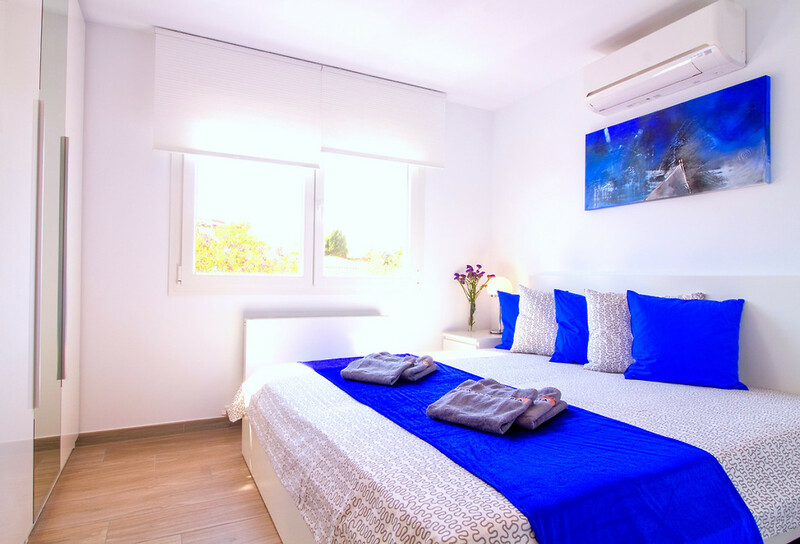 The property is located near the center of Empuriabrava, all amenities are near, the beautiful golden sand beach of Empuriabrava, the restaurants, supermarkets, all within walking distance. 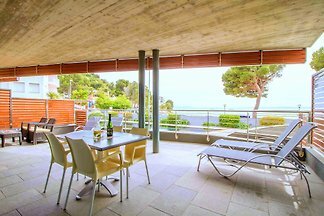 Also the historic town of Castelló d'Empuries, Roses or the charming Küstendorf Cadaqués with its idyllic harbor are within easy reach by car. 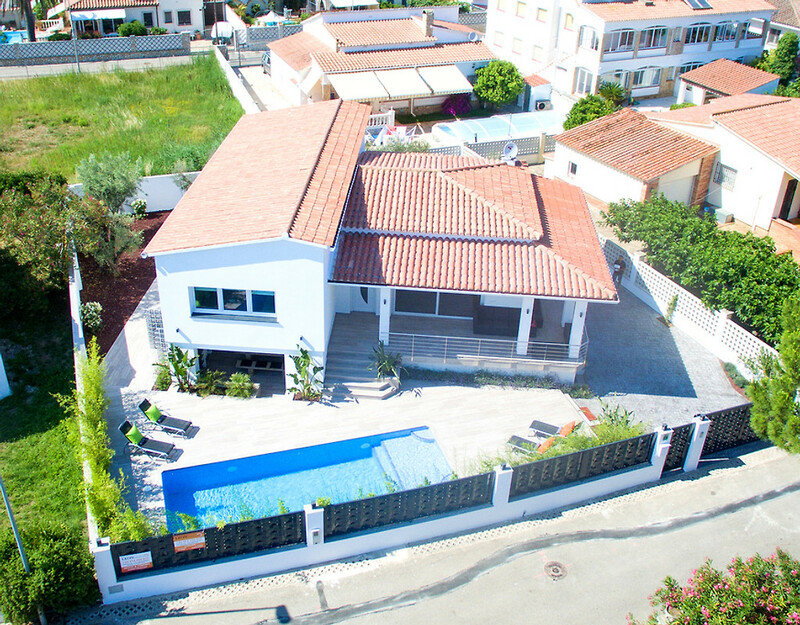 Empuriabrava and the surrounding area offer unlimited recreational opportunities like skydiving, all kinds of water sport activities and golf, as well as numerous cultural attractions such as the Dali museum in Figueres, the monastery of Sant Pere de Rodes and the Greek and Roman ruins of Ampurias.